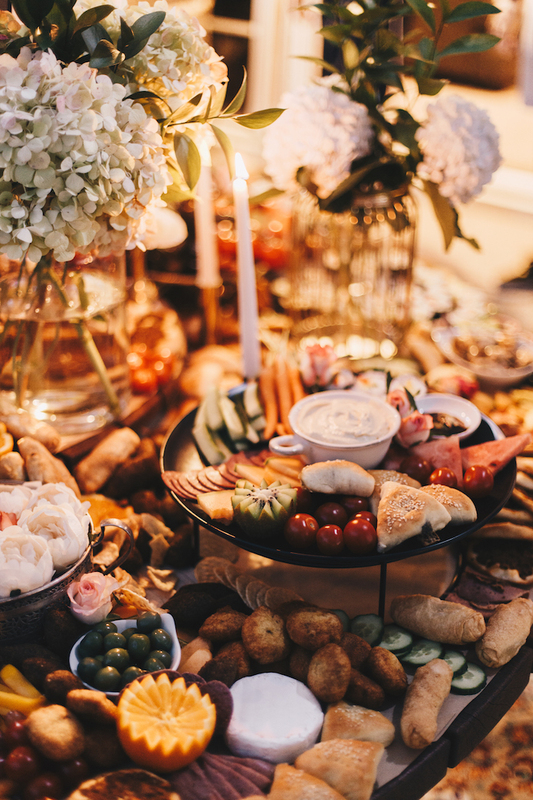 What better way to celebrate your graduation than a dazzling feature table of delicious foods and a sweet dessert graze that are perfect for nibbling and mingling all night long! 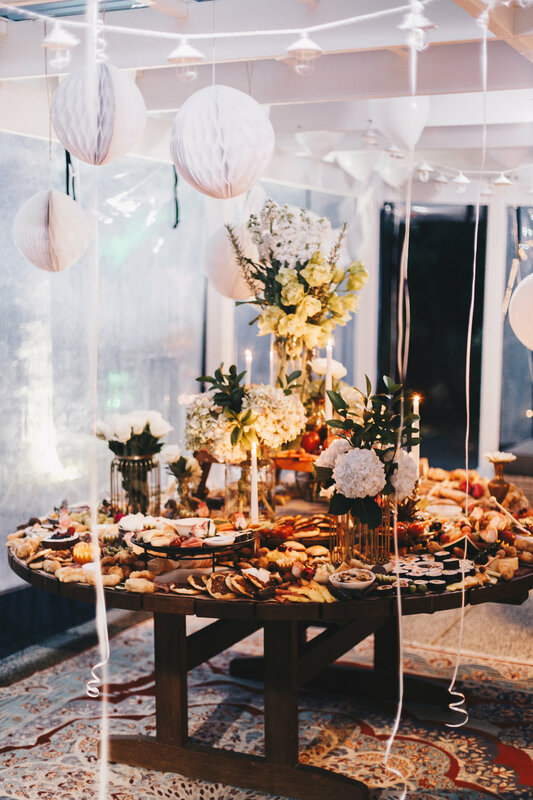 We created and styled the party area, and created a custom luscious grazing and dessert table with the cutest donut bar for an intimate party of 50 people at home, all coming together to celebrate the graduation for the lovely Maes. Prior to the event, we met with Maes and her parents to plan the transformation of their outdoor space down to the smallest detail so that it was perfect for her. 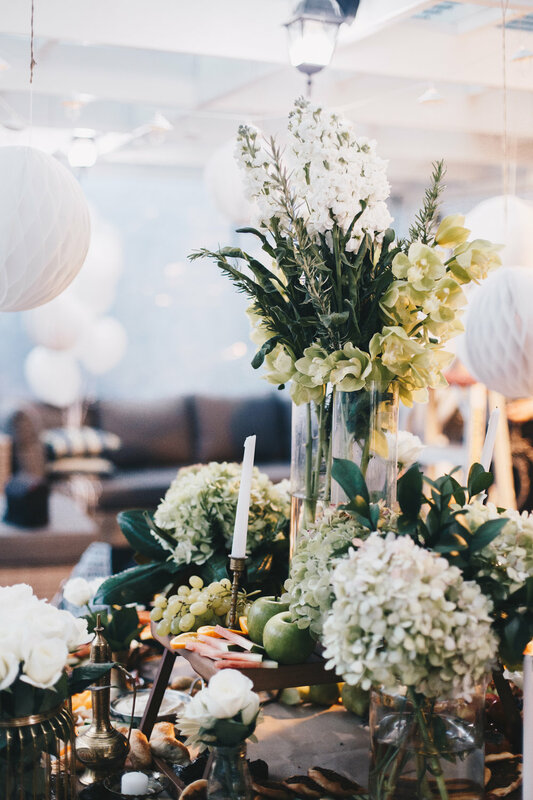 Styled with flowers, candles, photos of Maes growing up, 20 lovely white helium balloons, and a large white ballon dotted around, the outdoor area was transformed into a charming space. 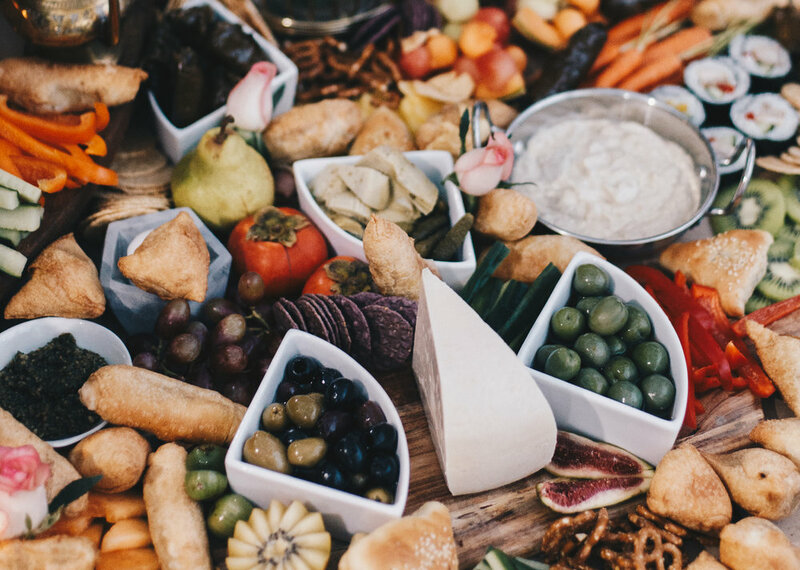 The grazing, brimming with a large assortment of foods, had special Mediterranean nibbles provided to us to incorporate into the graze. 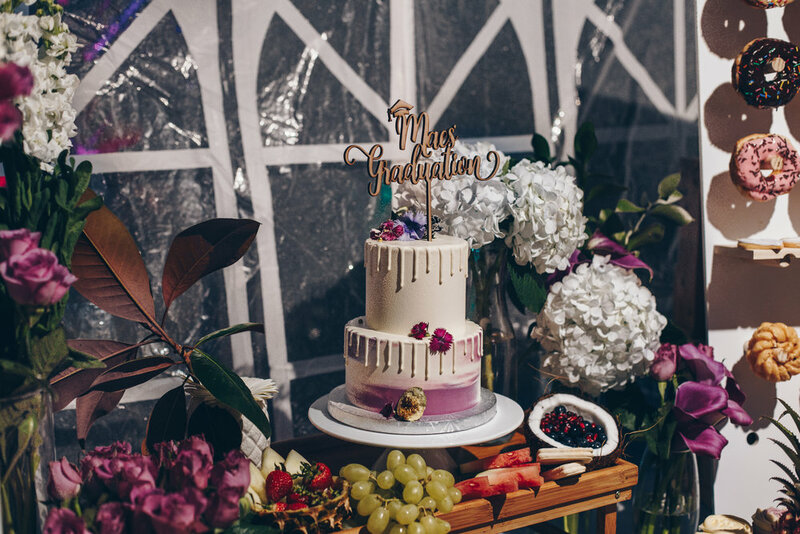 The dessert table was styled white with green and purple accents and props to match with a delectable spread of cupcakes, brownies, dessert cheese board and sweet treats framing the prettiest graduation cake. 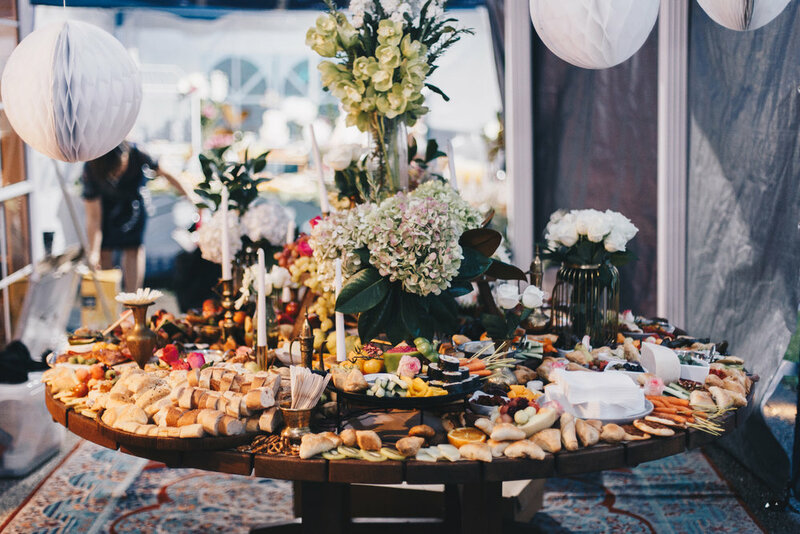 The grazing was personalised with custom cookies and and a cake topper to reflect the special occasion. 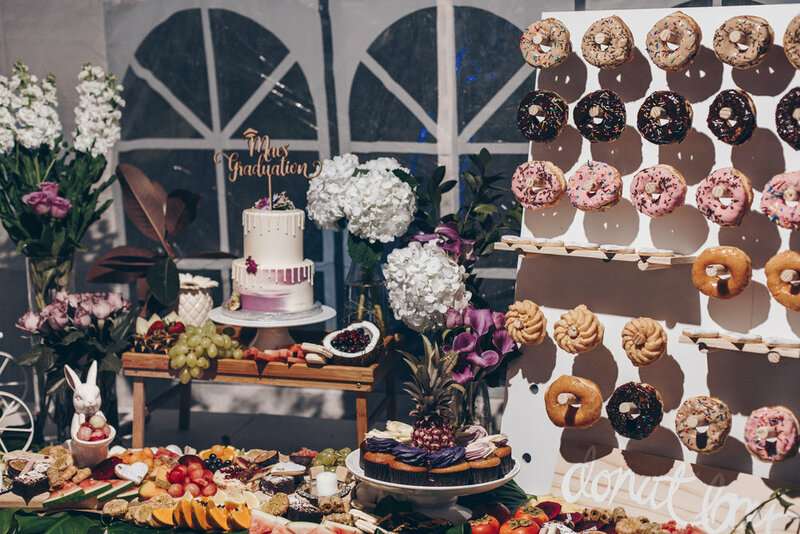 The donut bar gave a visual array of colours from the delicious icing and sprinkles, which added to the dessert graze’s fun and sweet vibe. Congratulations again on your graduation Maes! We wish you the best for your future. 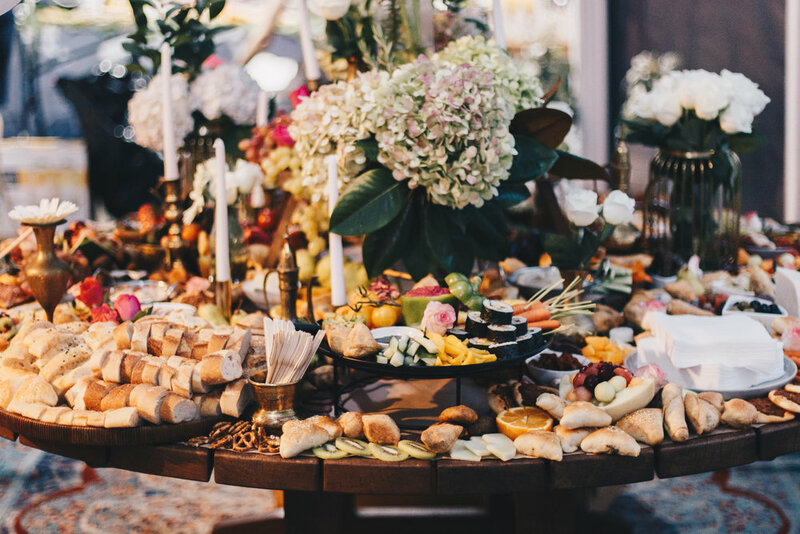 Looking to throw a party that is a little different with a big impact? 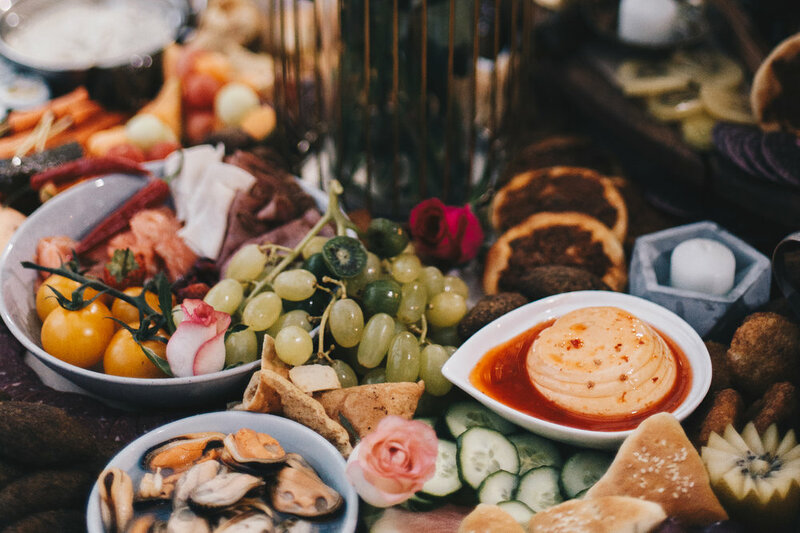 We can style any event, provide food and personalise a party and occasion to each person's vision and needs. So please get in touch for a quote or a chat about how we can help!